Achieving and maintaining weight loss is a life long process. Your courage to visit our website seeking treatment for your medical problem of obesity is the first step to show you are committed to improving your health and life. Weight loss will help improve most of the associated co-morbidities. Patients who are morbidly obese have much higher rates of diabetes, high blood pressure, lung disorders, heart disease, heart failure, sleep apnea, bladder incontinence, esophageal reflux, hernias, arthritis, spine problems, depression and many other life threatening problems than non-obese patients. Overall, medical conditions are more difficult to treat and people who are morbidly obese have a statistically shorter lifespan. These improve or are eliminated with successful weight loss in 90% of patients. Morbid Obesity is a medical condition where the body weight has exceeded healthy limits and produces life-limiting problems. Diets don't work. Only about 3-5% of all people who attempt weight loss through diet and exercise programs are successful long term. Obesity is a major health concern affecting millions of patients. Weight loss surgery may save your life. Each year approximately 300,000 individuals die from obesity related causes in the US. This number is second only to smoking. Morbidly obese individuals are 5 times more likely to die prematurely than non-obese patients. Though each of you is in different phases of reaching your health goals, our practice will assist in reassessing your goals and keeping you focused. You need to realize you are not alone. The decision to undergo weight loss should not be taken lightly. Pre- and postoperatively you will have questions, concerns, emotions, and physical changes. Through sharing common experiences, we will provide an informal social network and encourage a sense of commitment, belonging, and acceptance. To ask for surgery means that you agree that surgery alone will not produce meaningful, long term weight loss. You must have the motivation and willingness to make the necessary changes in eating habits and engaging in daily exercise. Dr. Stephan can provide you with a “tool” for weight loss. Your commitment is necessary to utilize this tool. Contact our bariatric surgery center to schedule a consulation. 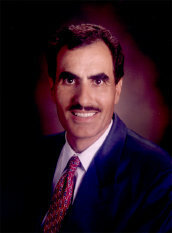 MICHEL K. STEPHAN, M.D., F.A.C.S. JNS Web Design strives to deliver quality web presence at an affordable price.